Welcome to February, the month of Valentine cards and pink candy hearts and Cupids for some, and dark humor and hopefully self-love for others. Hopefully, this month will also herald warmer weather for those Northern areas besotted with blizzard snowfall. Our issue this month focuses on innocence and maturity, with some submissions reflecting straightforward childlike enthusiasm and others presenting more complex, self-conscious thoughts. Leticia Garcia Bradford regales us with a tale of the first time she saw snow, as an adult Californian traveling to South Korea in winter. Joan Beebe draws on the Valentine’s holiday for inspiration, describing a contented relationship and some different aspects of love. She also memorializes a pet parakeet who had become dear to her family. Tony Glamortramp offers up poetry and a short story, both of which convey the thrill and joy of snow days, not for children, but for bohemian queer artistic types who have the day off from school and work to feast on poetry, art, drink and music. These pieces, somewhat reminiscent of Puccini’s La Boheme, express the treasure of eclectic community and show through nostalgia the value of a city’s remaining hospitable to these sorts of people. Ogana Okpah celebrates love, both the childlike pangs of first crushes and the longer-term, committed love of adults. Jaylan Salah reviews the cinema of Canadian director Xavier Dolan, whom she appreciates for making films that show teenage boys’ maturing and the complexities of ‘human-human’ relationships, tender and nuanced regardless of gender configuration. Other writers convey a sense of anxiety, a reflection of the growing pains of our society and planet. 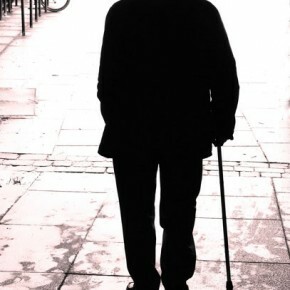 Michael Robinson, in his distinctive restrained, delicate verse, expresses the solitude and anguish of having only memories of love for comfort while undergoing mental health treatment. 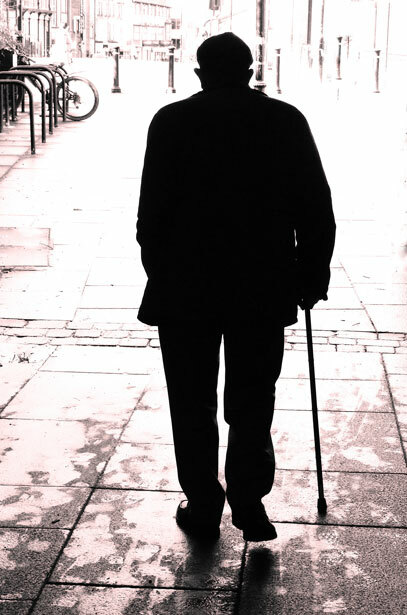 Christopher Bernard’s protagonist considers the weight humanity places on the planet, then looks into the faces of ordinary random folks of all ages waiting for a San Francisco bus, who seem incongrously vulnerable and harmless. Christopher Bernard also reviews Ernest Hilbert’s new poetry collection Caligulan, which expresses modern and timeless social and existential anxieties through formal poetic forms. Vernon Frazer creates highly structured, precise, heady pieces through free verse forms, reflecting places that are underneath, behind, hidden from view. Readers are drawn by these geometric arrangements of words to peer within our physical and mental structures to examine their deeper natures. Akor Emmanuel expresses existential dissatisfaction through the image of a perpetually unsatisfied pregnant virgin, an echo perhaps of the Virgin Mary’s sorrow over our world. Dramatic suspense can be a way we can face anxiety in small doses and vicariously, perhaps as a way to accustom ourselves to fear from a distance so that we might become stronger when confronting actual threats to our existence. Elizabeth Hughes, in her monthly Book Periscope column, reviews Joe Klingler’s film noir-esque thriller mystery Missing Mona, describing the tale of a detective’s quest for a missing hitchhiker. Other writers this month describe the process of men’s coming of age, with all the angst inherent in that physical and psychological journey. 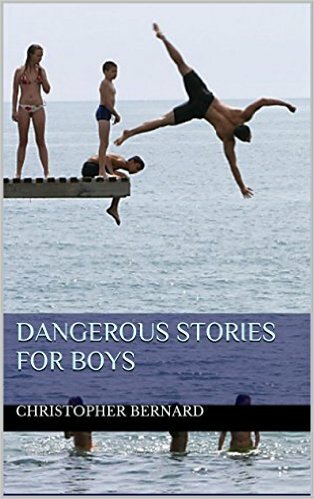 Michael Robinson reviews Christopher Bernard’s Dangerous Stories for Boys, a collection reflecting what Bernard considers the ‘dangerous’ and volatile years of burgeoning adult masculinity, beginning at about age ten. 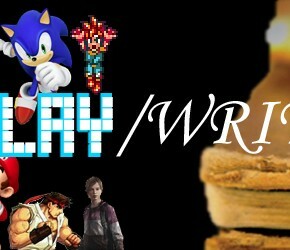 Ryan Hodge, in his monthly column Play/Write, analyzes video games’ portrayal of male characters as they develop throughout game play, arguing that they earn worth and value in the eyes of others through service and sacrifice, but face the dilemma of finding a balance where they can assert individuality and not merely exist for the sake of others. Hodge argues for a complex, nuanced view of manhood on the screen, just as he did for femininity and female characters in his last column. I hope that this issue inspires both childlike joy and wonder and thoughtful consideration of deeper concerns. Thank you for sharing the experience and growing alongside our contributors. When we think of great literary heroes –let alone heroes in video games- a plethora of male examples often spring to mind. From Hercules to Sonic; James Bond to the Master Chief; indeed it can be argued that if there’s one thing that contemporary narrative has a mastery of; it’s writing for male characters. However, there’s may be more to boys than what meets the eye, and videogames may indeed help us illuminate the way. when the knock on the door awakens me. Life is not a single word or phrase. Look at what take me to 3AM land of darkness. Because my soul will not remain quiet at 3AM. It’s around 3AM when the psych tech searches my room. No knives or guns just a soul souring in the morning wind. There are books of poetry that, if only readers could be induced to pick them up, might change their minds for good about the supposed incomprehensibility, preciousness and irrelevance of modern poetry. Ernest Hilbert’s new collection, Caligulan, belongs to that rare class. After his beautifully rendered Sixty Sonnets and the eloquent All of You on the Good Earth comes this richly wrought (if curiously titled—more on that below) new collection. Hilbert is a classicist in the finest sense of the term: he has a firm grip on the formal orders that have dominated the great tradition of Anglophone verse from the skalds of Beowulf and the Pearl Poet to the tight gems of darkness of Thomas Hardy, and he uses them to write poems that ring with very contemporary truths. A skillful artificer of forms of verse that have sometimes gone wanting or are unjustifiably neglected or despised after the earthquakes of modernism, he is afraid of neither tight meter nor demanding rhymes: he proves there is nothing whatsoever anachronistic about well-tooled verse; the rage of authenticity can speak as sharply in a sonnet as in a calligramme. The book is divided into four sections, named after the seasons, beginning with Summer. The landscape is mostly North Atlantic, eastern seaboard, in the countrysides of New Jersey and eastern Pennsylvania and the city streets of Philadelphia, where Hilbert lives, and which he knows intimately; he throws out the name “Atlantica” in a poem of that title: a place half mythic, half real, torn in the perpetual strife between love and time. “The gull pulls bags from trash and drags them clear. “The ship is locked beneath frozen mountains. We haunt the world between a presence we can never find and an absence we cannot accept. So we come to the odd title, a coinage that is explained in two pages of faux lexicography at the start of the book: it is, of course, a qualifier meaning “like Caligula,” the vicious, half-mad Roman emperor, who presided over Rome in a period of supreme decadence (any parallels with contemporary America are, no doubt, entirely coincidental!) and notoriously named his horse as consul; except that here the word is taken to mean “illogical fear of disaster … constant worry for the safety of oneself … obsession with cruel and irrational behavior.” And there is a poem with the same title at the very end of “Autumn”: about a panic attack the poet suffers after an almost comic avalanche of petty but ominous disasters (rolling together, in a rococo goo, among other sleights to human dignity, tasteless television broadcasts, coffee withdrawal, a call from his bank, a crashing computer, and the curses of “Olympian Jupiter”), portending (though it “just hasn’t happened yet”) his own mortality. often reach the reader most keenly. Though a constant trembling of anguish informs many of these poems, like a quiet ostinato rumbling constantly in the bass, what is most notable is how the poet’s anxieties are, in the main, transmuted from personal spasms of what sometimes sometimes feels like merely neurotic terror into objects of great beauty, a beauty that transforms the anguish that generated them into victories, however temporary, of grace. Hilbert tends to write in a kind of contemporary Augustan “high style,” which has the congenital, Miltonic problems he does not always avoid of over-portentousness and patchy magniloquence. 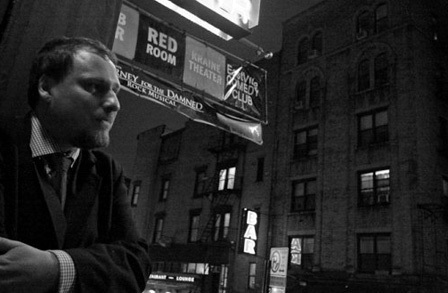 There are related problems when a poet has made his commitment to strict meter and rhyme: an occasional strained and contrived phrase hammered into a line with an ugly pruning of articles and dislocated enjambment (you can sometimes hear the phrase suppressing a snarl at the pinch) so that the blamed thing will fit. But more often, and on the whole, the strictness of the procrustean bed to which Hilbert has bound his verses is a strengthener – and then the tight rhymes and the enjambed lines sing. The collection, growing in strength as it moves through the seasons, ending in the resurrecting life of a typically glorious Pennsylvania spring, concludes with what, for me, is its strongest poem, marshalling the poet’s strengths in a swell of quiet, deep, and endearing, eloquence: “Who Is He Dares Enter These My Woods?” a poem that evokes a spring morning in center city Philadelphia with great precision (having grown up there, I can attest to it) and a moment of joy and affection that is entirely winning, that made me feel, surprised and admiring and, strangely—or perhaps not so strangely—grateful. Christopher Bernard is author of The Rose Shipwreck: Poems and Photographs and Dangerous Stories for Boys. His latest book is the novel Voyage to a Phantom City. He is co-editor and poetry editor for the webzine Caveat Lector. 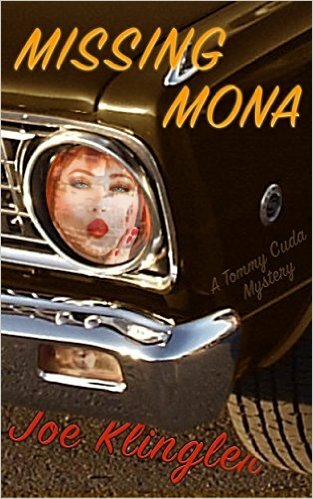 Missing Mona is an excellent detective/suspense novel. It is about a car mechanic who takes off in his Turbo Bronze Barracuda to drive cross country to Los Angeles. As he is leaving he picks up a beautiful hitchhiker named Mona. What follows takes Tommy on the adventure of his life. 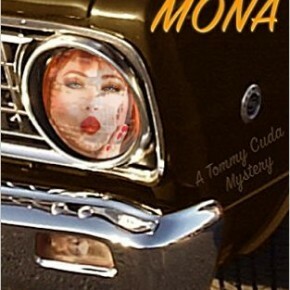 Missing Mona will take you on a thrilling ride all the way to the end of the book. Make sure to add this one to your collection and happy reading. I personally loved this one and will read it again and again! You may order Missing Mona here. Christopher Bernard’s Dangerous Stories For Boys reaches into the abyss and brings us (men) back to a time and place where our world was full of doubts, fears, and lack of courage. Many boys finding their way into manhood become trapped in and stifled by society’s rules and regulations. There’s a deep psychological aspect to the experience of growing up into manhood. The age where it seems to begin is at ten and throughout adolescence. Many boys may find that their world is chaotic, disingenuous, and full of traps—emotional, physical and mental—all of which can be dangerous. It’s hard for the boys to figure out what path to take in the midst of the experience of adolescence and pre-adolescence. As we see in one story, changes in one’s family, such as a move, only heighten the disorientation. Matt’s family relocates to the city after living on a farm and he struggles with the strain of transforming himself to survive in the new environment. There’s a profound difference between growing up in the country and in the city. However, meeting people of different backgrounds and cultures is a prerequisite for maturity, even a baptism by fire, as it has been said; but an important step towards developing into a fully mature and well-adapted person. Many adult men have long since forgotten these rites of passage, but Christopher Bernard reminds us of those moments in a harmonious way. Each story has a rhythm that stays intertwined with the other in a cadence that works well. My thoughts followed the lives of these young men, anxious to see how it would all turn out for them. I found myself reliving my own story of growing up, which made me feel frightened and uncertain of my future. Attempting to control each event becomes futile as the environment shapes the characters’ actions. Still, as with the other boys, even while going through a maze of fear and disorientation, Matt resolves not to surrender to his new world and to maintain his identity. “Shadow in the Water.” This story is intense and familiar to us. Alan must question his own values, and his strength in order to be himself. It’s difficult to walk away from the challenges of peer pressure to say no to others. Alan finds himself confronted by realities that challenge his fantasy that he can be just one of the boys. It’s impossible not to continue to follow the story without remembering your own experiences. Story after story, Bernard gives us something to contemplate. The reader cannot help but follow each boy through his adventure and have concern for him. As you become attached to each one of them, you are exposed to your own shadows of the past. I found some stories long only because I wanted to know what would take place with the boys. But it was worth the wait to read the ending without skipping pages. Christopher Bernard’s Dangerous Stories for Boys can be ordered here. AKOR EMMANUEL OCHE is a Nigerian poet and critic who has been globally anthologised.